Its time to cut through all the useless diets, workouts, supplements, drugs, books and plans – and instead find out what really works when it comes to losing fat fast, performing at your peak potential, living longer, and having the energy the way your body is supposed to actually have all day long. 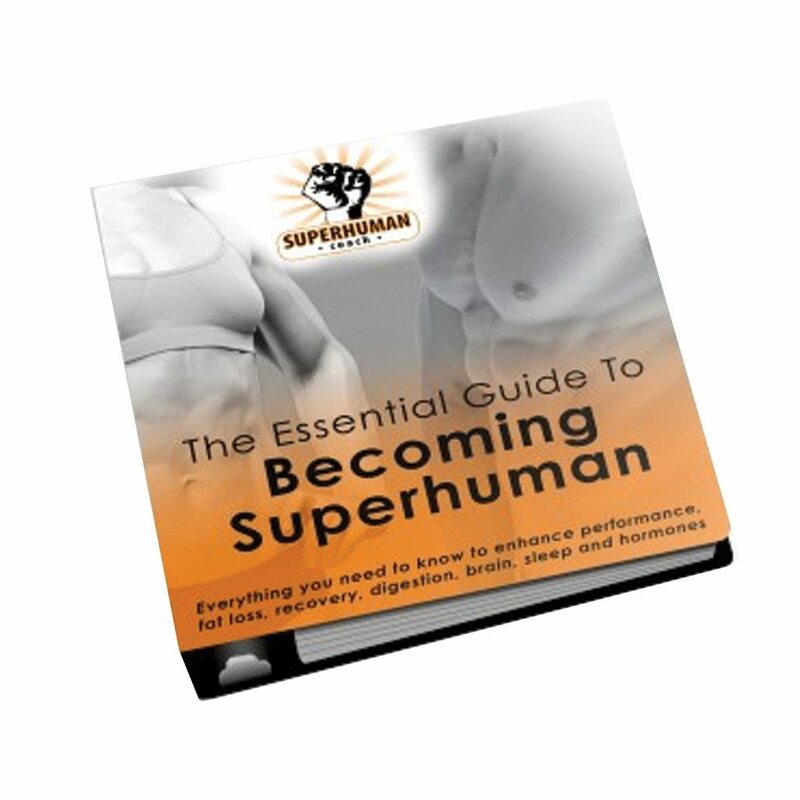 Yes – it really is possible to look, feel and perform like a Superhuman – whether you're a weekend warrior, an elite athlete, or you just want to melt away fat or build muscle as fast as possible. -and everything else you need to Become Superhuman! You will have mastered your knowledge of the human body (and how to get the most out of it!) when you complete this amazing course. Thats just a glimpse of what you'll find inside. Every module above includes full video, audio and text details, so you'll be able to play the audios in your car or at home, while also getting the convenience of both the video and the text version for every topic. If you're a personal trainer, coach, fitness business owner or an exercise enthusiast who wants to vastly expand your knowledge of performance, fat loss, recovery, digestion, brain, sleep and hormone optimization, then this program is definitely for you. You get all seven Superhuman modules as a 213-page .pdf download.